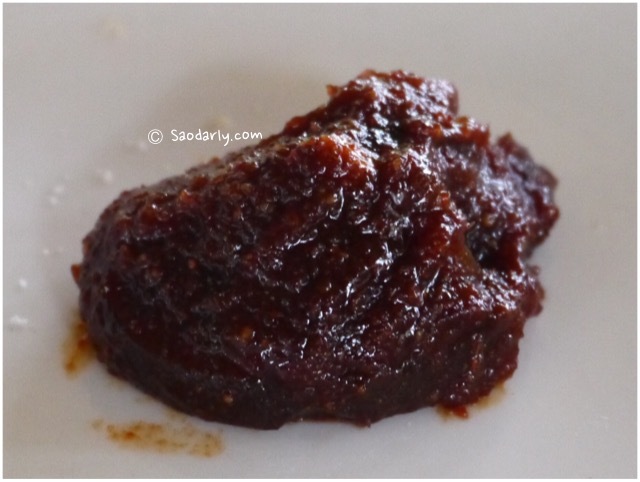 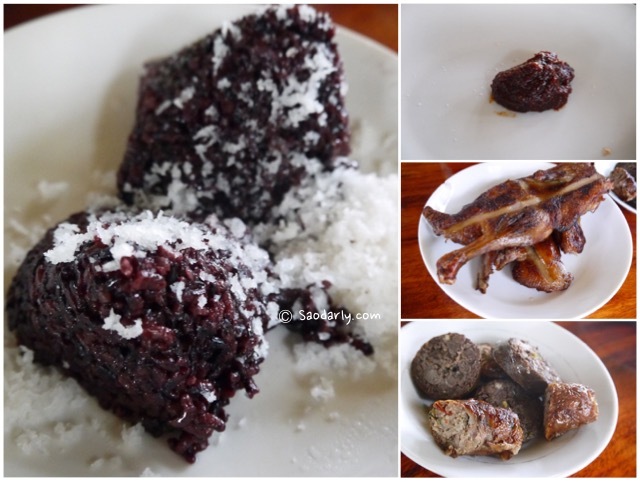 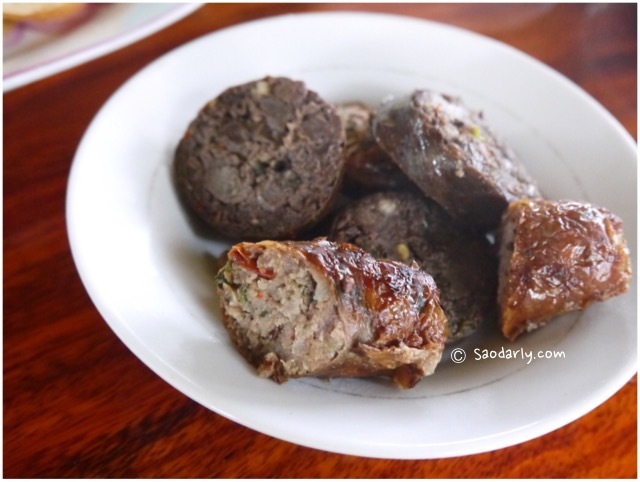 The darker looking sausage on top in the above picture is Sai Aua Khuay (ໄສ້ອົ່ວຄວາຍ), which is made from buffalo meat, while the other is made from pork. 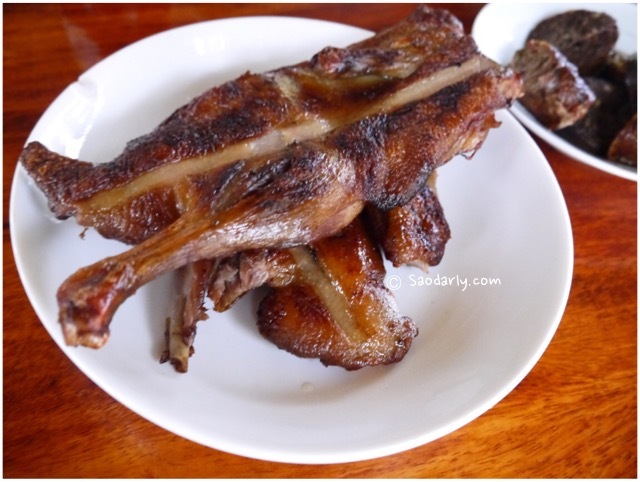 We bought the sausages and grilled duck at the Night Market Food Alley since we have to start our tour early in the morning. 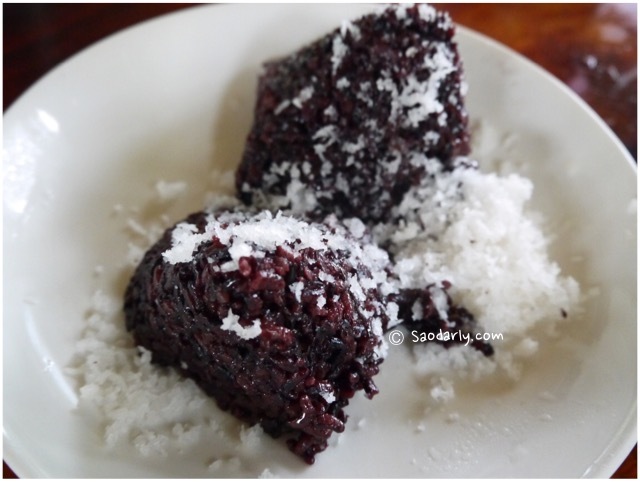 We also bought steamed black sticky rice ເຂົ້າໜຽວດຳ (Purple Sticky Rice; ເຂົ້າກ່ຳ) with shredded young coconut and Jeow Bong (ແຈ່ວບອງ) to complete our breakfast.